As is often the case when pursuing a Bible topic or figure, information is found in several sources, and it requires careful investigation to locate and compile the relevant scriptures. The same is true concerning the person of Abram. For instance, his father is mentioned as an idol-worshipper (Joshua 24:1-5), but it is unclear whether either Abram or his brother Nahor (or Sarai, for that matter) was, though they were brought up in a pagan household. In fact, later in Genesis 26:5, the LORD reminds Isaac that his father “obeyed my voice, and kept my charge, my commandments, my statutes, and my laws.” At some point, the LORD and Abram began a relationship in Ur that lasted an entire lifetime. One can only wonder as to when and how. It’s worth considering that Shem himself may have influenced Abram in some manner since he lived until Abram was about thirty. All that is known for sure is it happened, and that relationship became the dominant thread in the fabric of his life. 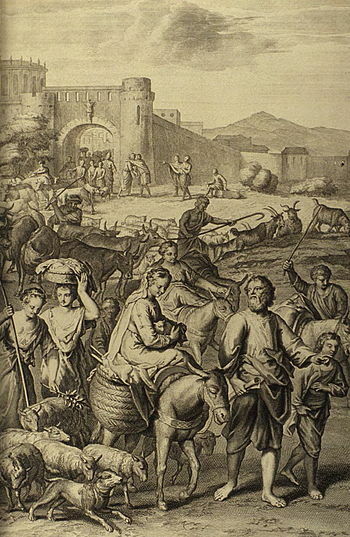 It is the New Testament deacon Stephen who adds a detail not found in Genesis: “And he said, ‘Brethren and fathers, listen: The God of glory appeared to our father Abraham when he was in Mesopotamia, before he dwelt in Haran, and said to him, ‘Get out of your country and from your relatives, and come to a land that I will show you’” (Acts 7:2-4). While Genesis 11:31 records that Terah, as patriarch, took his clan from Ur intending to go to Canaan, this scripture presents the likelihood that it was done at Abram’s urging as prompted by God’s direction. 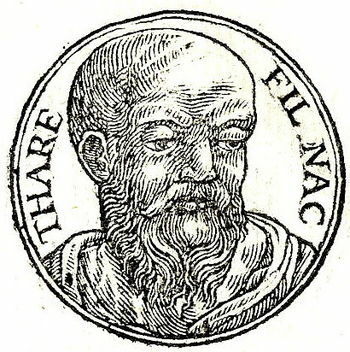 According to his genealogy, Terah’s clan consisted of himself, his sons Abram, Nahor, and Haran, two daughters-in-law, Sarai and Milcah, and a grandson, Lot. 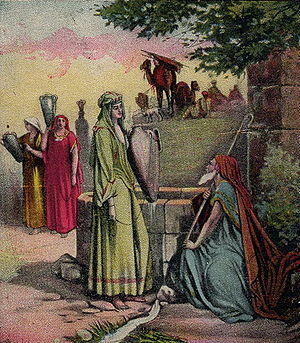 Nahor’s wife, Milcah, is identified as Haran’s daughter (and Nahor’s cousin). 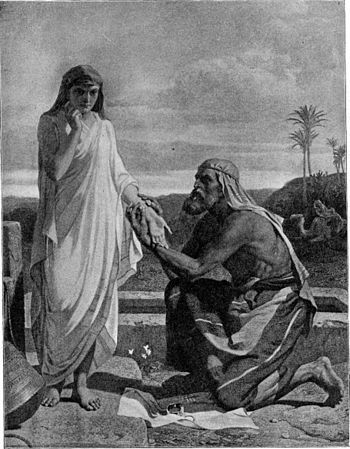 Sarai is later identified as Abram’s half-sister (Genesis 19:12)—they shared the same father but different mothers (neither of whom is named). Was Sarai born to a concubine? Did Abram’s mother die, and Terah remarried? The record is silent. As a daughter, Sarai’s early years were spent learning household tasks at her mother’s side, or perhaps from a slave or servant. Grinding grain, baking bread, gardening, spinning, weaving, going to market, cooking and preserving foodstuffs, drawing water, perhaps even shepherding if the family had livestock—all these activities would have filled her days. It’s not surprising to find that type of clothing in Mesopotamia was dictated by social standing. If Terah was wealthy, his daughter wore one-piece woolen or linen garments, stylishly woven with many different patterns and designs. Embroidered and tasseled wraps and shawls protected her in bad weather. Men and women either went barefoot or wore sandals; women’s footwear was often ornamented. Both sexes were known to wear cosmetics, outlining their eyes with a form of mascara; and both applied perfumes (“made by steeping aromatic plants in water and blending their essence with oil”) after the none-too-frequent bath. Grooming and appearance were important. The relationship between Abram and Sarai began from the day she was born. If the genealogy presented is complete, the family was small by ancient standards—only three boys and a girl—and the sibling bonds were likely quite strong. He had always been a part of her life. He might have been one of the first to see his baby sister wrapped in swaddling clothes or the like, nursing at her mother’s breast, and, as the firstborn, felt especially protective of her from that day forward. According to Mesopotamian custom, weddings occasioned rejoicing and celebration lasting for days or even weeks. Also by custom, the newly married couple was expected to live with either the bride’s or the groom’s family (in case of Abram and Sarai, nothing would have changed). What had been a happy beginning eventually changed into a life of growing frustration. Months of hopeful expectation turned to years of disappointment. There was seemingly no escaping their dreadful predicament—one fraught with intense longing, and for her especially, a loss of face: “But Sarai was barren; she had no child” (Genesis 11:10). When Abram took Sarai as his wife, neither of them knew what lay ahead, nor how a series of promises would affect their long and eventful years together. It is likely there were pockets of people who maintained a worship of God through Shem’s subsequent generations, and that practice could have been passed on Abram. A more generally accepted scenario is simply that God called Abram out of the paganism of which he had been an adherent. 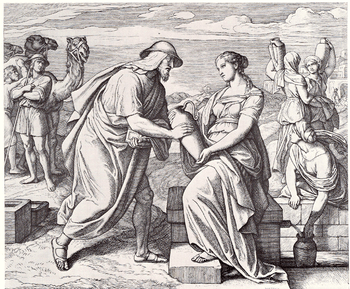 In Genesis 9:26, Noah refers to God as “the God of Shem,” indicating Shem’s allegiance to Him. 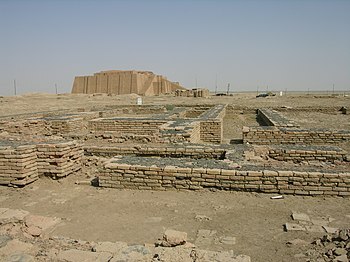 S. Bertman, Handbook to Life in Ancient Mesopotamia (2003), p.291, as cited in online article, “Daily Life in Ancient Mesopotamia,” http://www.ancient.eu.com/article/680/, accessed September 2, 2014. It can’t be known whether Abram and Sarai conformed to such fashion statements of the day. However, if one considers Peter’s exhortation in 1 Peter 3:3, it’s obvious that Sarai’s core beauty did not depend on style and outward appearance but rather, it emanated from her attitude of heart. Also it’s hard to imagine Abram’s being unduly concerned with such transient matters when the LORD was in the process of lifting his vision to a much loftier plane. One might be inclined to raise an eyebrow given the fact that Abram married a close relative. Wouldn’t that be an incestuous union, and therefore, forbidden? The general consensus is that the law prohibiting such unions was not yet in place; it was enacted during the time of Moses (see Deuteronomy 27:22 and Leviticus 18:6-30; 20:11-12). Another point for consideration is that God accepted this union (and likely arranged it) and performed a miracle to provide an heir from it. 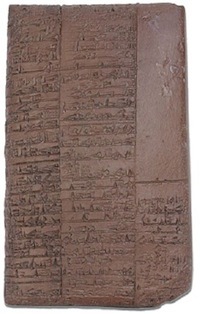 Karen Nemet-Nijat, https://www.academia.edu/873588/Womens_Roles_in_Ancient_Mesopotamia/ , accessed September 2, 2014. Posted in Abraham, Bible women, Canaan, Sarah, Sarai, Terah, Uncategorized. Bookmark the permalink.